Achieve a high-end look by wearing a high-end style #sunglassses. 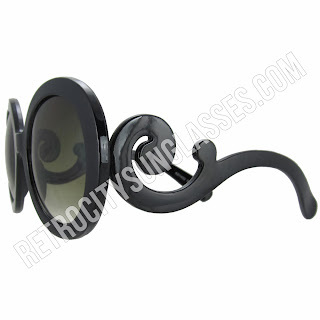 Swirling Arm Sunglasses is an accessory you can buy that has a high end look and not a high end price. When they came out a few years ago, they were seen on every celebrity and every street style blog. They were are still are the chicest pair of sunglasses to own. There is something about Swirling Arm Sunglasses that is so divine... it must be the swirlng arms! The architecture of these sunglasses are reminiscent of antique ornaments. It's the perfect way to frame your face. And it's no wonder that Swirling Arm Sunglasses are still trendy. Shop for a pair of Swirling Arm Sunglasses at RetroCitySunglasses.com.